Woodhead is a fantastically challenging, witty, and weird spin on a unique puzzle game. Be it for a challenge or a smirk, it's two bucks and it's good. 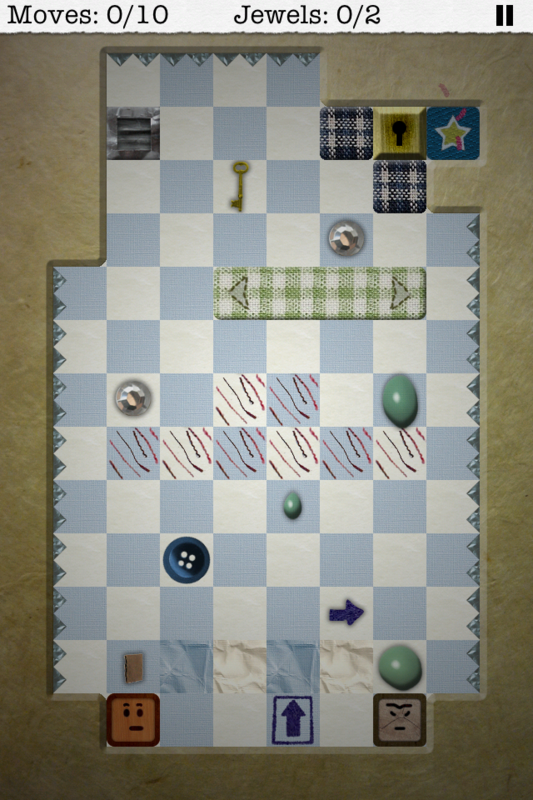 Written with a custom iOS engine, Woodhead was an attempt to bring meaningful touch interaction into a portable puzzle game. 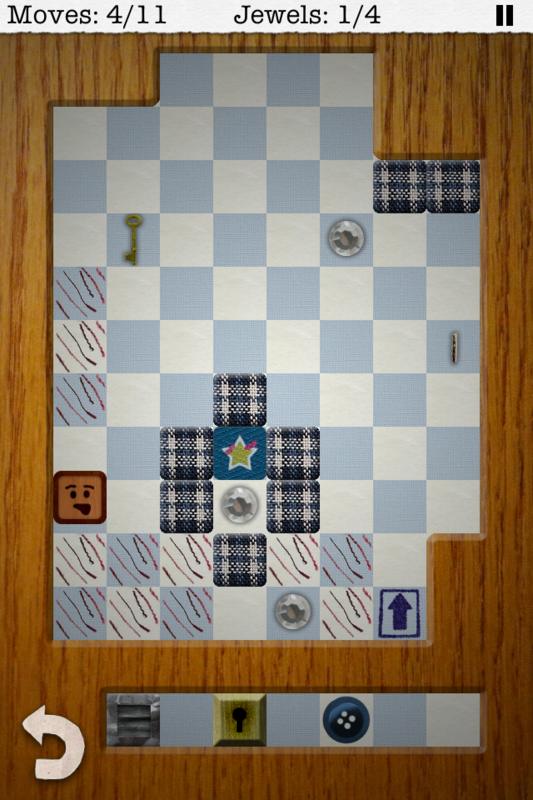 Woodhead collects objects which can then be placed in the level to collect all the jewels and reach the exit within a certain number of moves. The game is divided into five "pages" of 11 levels, with a bonus (12th) level for each (60 total in v1.0). Each page introduces more interactive elements and new combinations of those elements. In between pages, there are humerous cutscenes of Woodhead answering questions about himself and the game. Woodhead has not received any awards or recognitions yet. Please check back later to see if things change. "Puzzle fans looking for some thinking and laughing will enjoy this app. Grumpy people looking for an easy game need not apply." "...This is one of the most accessible yet challenging, straightforward yet never repetitive block sliding puzzle games out there..."
"Serious puzzling fans will really have a ball with Woodhead." 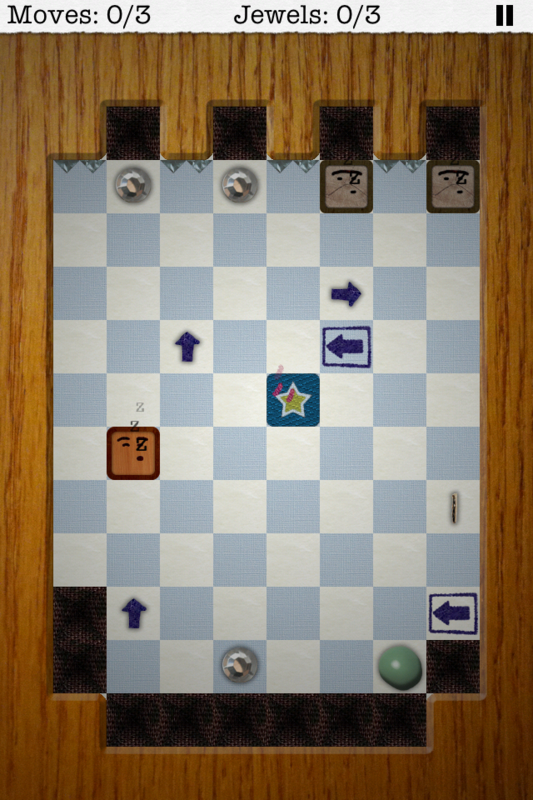 "Woodhead is ideal for puzzle fans as it’s challenging, addicting and just a lot of fun to play." "It's okay for one of the Woodheads to die. Life can be unfair." We make games and tools for game makers. We try to inject a bit of humor and wit into the games we create. 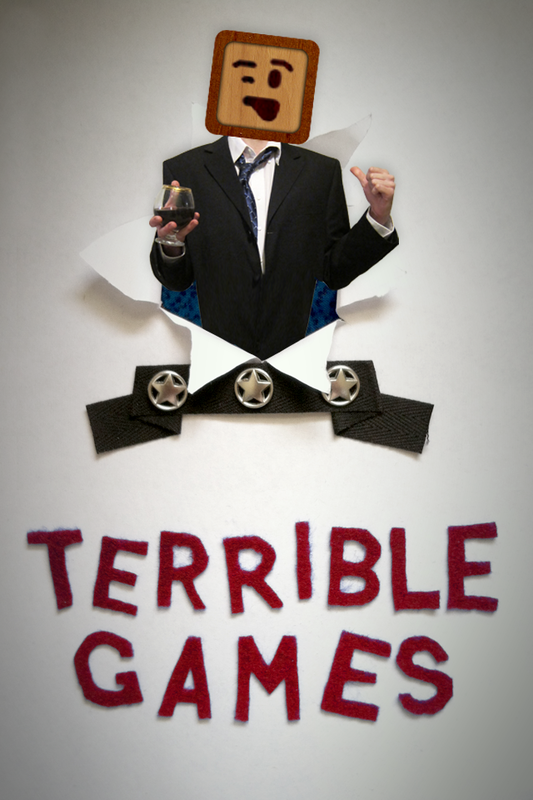 More information on Terrible Games, our logo & relevant media are available here.